Workers' unions at Fruit of the Loom factories in Honduras and El Salvador have formed the Fruit of the Loom Union Network. 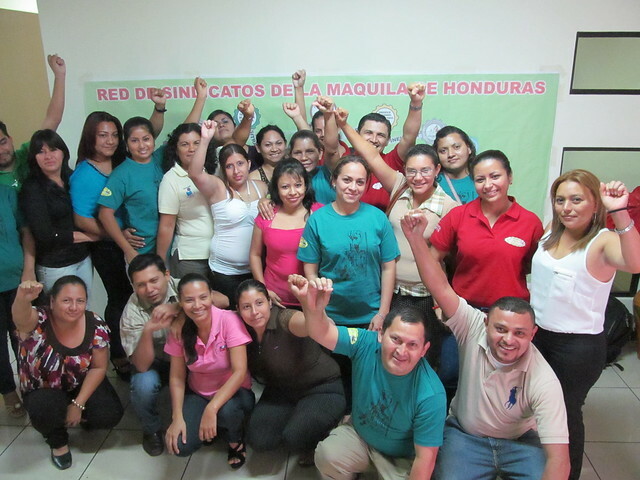 According to its constitution, the network "maintains international union campaigns in defense of the labor rights and human rights of the women and men working the products of the multinational brand, Fruit of the Loom." "Protests persuade Russell Athletic to rehire Honduran workers" - Steven Greenhouse, New York Times, 18 November 2009. "Workers' Power in Global Value Chains: Fighting Sweatshop Practices at Russell, Nike and Knights Apparel" - Mark Anner, Transnational Trade Unionism: Building Union Power, 2013. "Stitching Together: How Workers Are Hemming Down Transnational Capital in the Hyper-Global Apparel Industry" - Ashok Kumar and Jack Mahoney, WorkingUSA: The Journal of Labor & Society, June 2014.